On Saturday, Oaklawn Park will play host to the $750,000 Rebel Stakes (gr. II), an 8.5-furlong Kentucky Derby prep race that has attracted a number of top-class runners in recent years, including champions Lookin at Lucky and Will Take Charge, Preakness Stakes (gr. 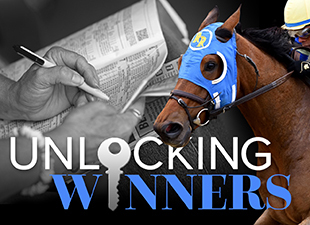 I) winner Oxbow, and future grade I winners Secret Circle, Caleb’s Posse, Archarcharch, and Hoppertunity. Much to the excitement of all, yet another champion will enter the Rebel Stakes starting gate this Saturday, that being the reigning Eclipse champion 2yo male and Kentucky Derby favorite American Pharoah. His presence will undoubtedly make the Rebel Stakes one of the most exciting Derby prep races so far, so let’s start handicapping! Not surprisingly, American Pharoah is the heavy favorite on the morning line at odds of 1-2. Although he enters the Rebel off a long layoff—he hasn’t run since September 27th—there are few reasons to dislike his chances in this race. For starters, his Beyer speed figures tower over the field—he earned a pair of 101s for his victories in the Del Mar Futurity (gr. I) and FrontRunner Stakes (gr. I). In the latter race, held at the same distance as the Rebel, he won decisively over Calculator and Texas Red, both of which have come back to win graded stakes races (including the Breeders’ Cup Juvenile) in impressive fashion. Furthermore, American Pharoah looms as the lone front-runner in the Rebel, a major tactical advantage, and has posted a series of spectacular workouts at Santa Anita in preparation for this race. As if that isn’t enough, his trainer, Bob Baffert, has won four of the last five renewals of the Rebel Stakes. Even if the track at Oaklawn comes up sloppy, that shouldn’t prove to be a concern for American Pharoah, as his sire—Pioneerof the Nile—finished second in the 2009 Kentucky Derby over a sloppy track. So even though American Pharoah is likely to be a very heavy favorite, I’m going to make him my selection to win, and hope that he returns just as well as ever, even off the layoff. At first glance, the most logical candidate to round out the exacta—or pull off the upset if American Pharoah doesn’t fire—is The Truth Or Else. The Kenny McPeek-trained colt started seven times last year while securing only one victory, but did run well enough to finish third in the Champagne Stakes (gr. I) and Nashua Stakes (gr. II). Given time off after a disappointing effort in the Remsen Stakes (gr. II), The Truth Or Else returned to action in the Southwest Stakes (gr. III) at Oaklawn on February 22nd, in which he was a dozen lengths off the early lead before unleashing a spectacular rally on the far turn to reach contention at the top of the stretch. Under the circumstances, it wouldn’t have been surprising if The Truth Or Else had tired in the homestretch, but the colt battled on gamely to finish second, beaten just three-quarters of a length. The performance was impressive, but I think it’s fair to question if The Truth Or Else will repeat it on Saturday. For one, the pace of the Southwest probably enhanced his late run, as the early fractions—:23.61 and :47.90—were rapid given the sloppy track conditions, and the second half-mile—timed in :52.96—suggests that The Truth Or Else’s powerful rally was at least in part an illusion. Additionally, with American Pharoah being the only confirmed front-runner in the race, the early pace of the Rebel should be fairly slow, which could compromise The Truth Or Else’s late run. And while this is impossible to quantify, it’s possible that running such a huge race in the Southwest off the layoff—and while running on Lasix for the first time—may leave him vulnerable to regress in the Rebel. Therefore, I’m going to try and beat The Truth Or Else for second with Bold Conquest. The son of Curlin was a very capable competitor as a two-year-old, placing second in the Iroquois Stakes (gr. III) and Breeders’ Futurity (gr. I) before taking a break for the remainder of the year. Like The Truth Or Else, he made his seasonal debut in the Southwest, and after dropping farther off the early pace than expected—he was ten lengths back after a half-mile—he put in a respectable late rally to finish fourth while racing wide into the homestretch. The effort was solid given that it was his first start since October and his first over a sloppy track, and it’s important to note that he has shown a great deal of tactical speed in the past—in fact, in his debut sprinting 5 ½ furlongs at Saratoga, he was right in contention through early fractions of :22.35 and :45.49. Having drawn post five, just outside of American Pharoah, he should be able to work out a great trip sitting a couple of lengths off the early lead, and from there, I expect him to finish strongly when the real running begins. I would also like to briefly mention Madefromlucky, a Todd Pletcher-trained son of Lookin at Lucky that has won two straight races, including a nine-furlong allowance optional claiming race at Gulfstream on February 4th. In general, he has shown a tendency to race closer to the early lead than majority of his rivals, and having drawn inside of American Pharoah, it’s possible that we could see Madefromlucky try to match strides with the favorite early on. However, it’s worth noting that Madefromlucky has never been part of a particularly fast pace—in his allowance victory, he tracked fractions of :49.20 and 1:13.35, and in his maiden win, he raced a couple of lengths behind fractions of :23.88 and :47.77. So if he does try to engage American Pharoah early on, he may find the task to be a challenging one, and it could be difficult for Madefromlucky to find the right balance between showing enough speed to be in contention while not getting run off his feet by the favorite. Now it’s your turn! Who do you like in the Rebel Stakes?